We're appealing for information following the theft of a unique, one-of-a-kind road pedal cycle that was stolen from the rear of a van in SHERBORNE STREET, CHELTENHAM on Wednesday 9th January 2019. Offenders gained accessed to a secure car park and stole the bicycle whilst the owner was delivering goods nearby. 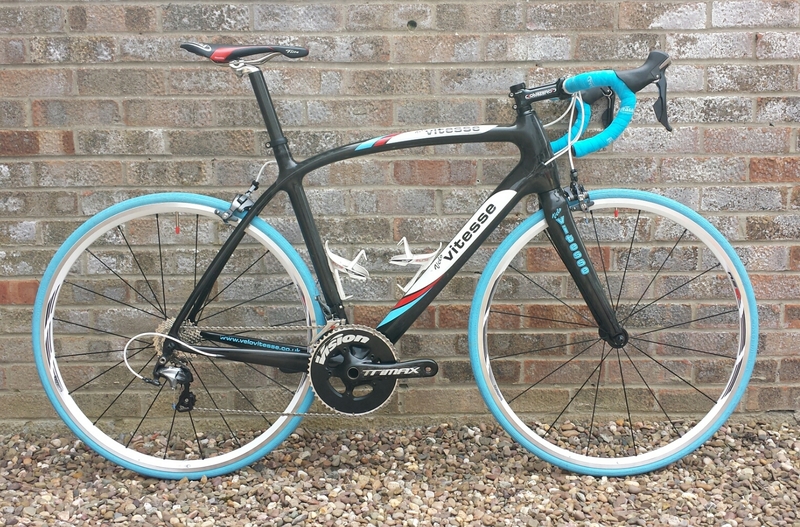 The bike stolen is a proto-type Velo Vitesse black carbon fibre road bike with the name 'VELO VITESSE' across the frame in blue, red, white and black. The seat is black with red stripe, blue coloured racing style handle bars. 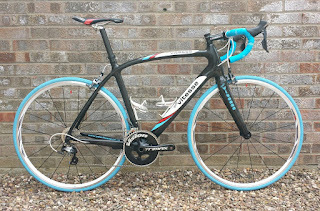 PLEASE NOTE: The picture is of the same bike but the wheels were changed to black prior to the theft. Please forward this appeal to your family, friends and social media contacts. If you have any information concerning this incident, please call 101 quoting Crime Reference Number 1324/19. Or email 101@gloucestershire.pnn.police.uk.